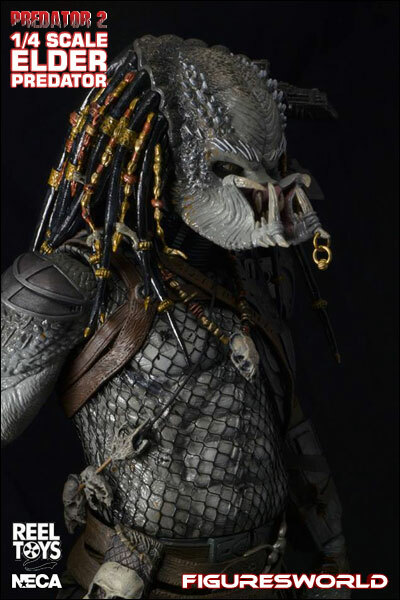 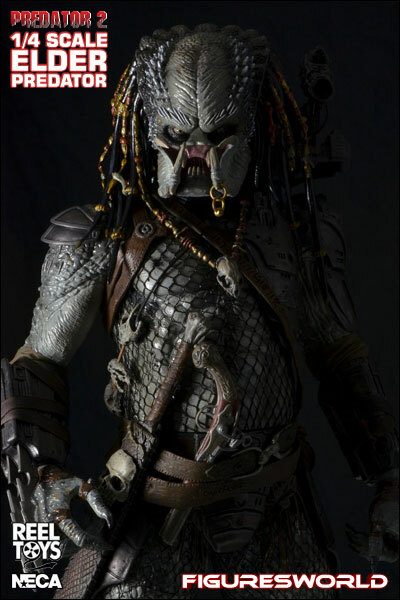 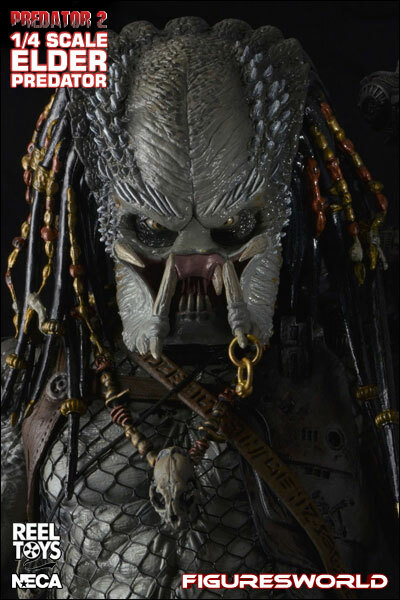 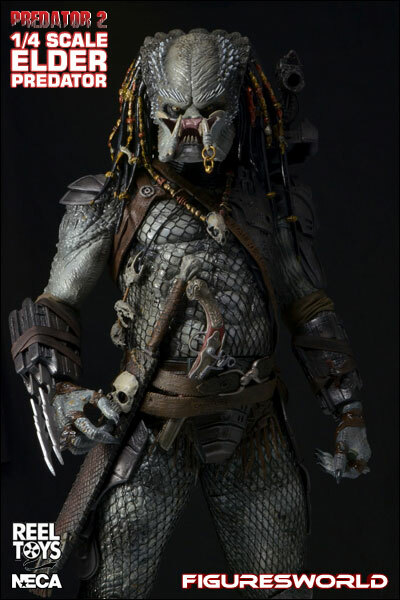 The Elder aka Greyback, the leader of the Lost Tribe of Predators as seen in Predator 2 finally receives the deluxe 1/4 scale treatment. 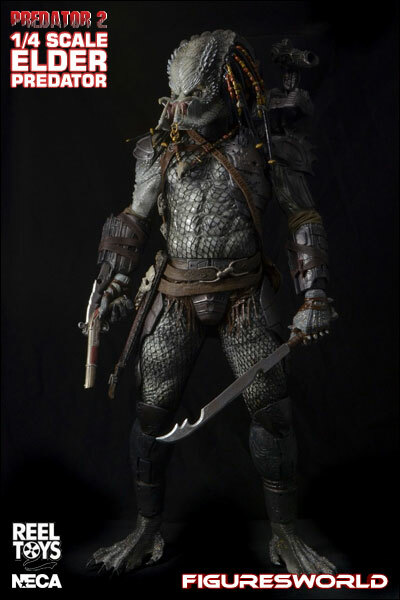 Featuring new and improved detail and sculpting NECA team have gone back in and improved on their original Elder sculpt in every way to make this 19-inch version even more special. 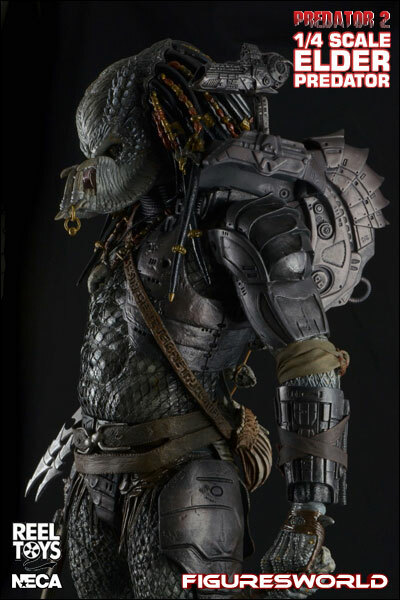 Elder includes interchangeable hands, sword and pistol along with a new shoulder cannon, belts and straps. 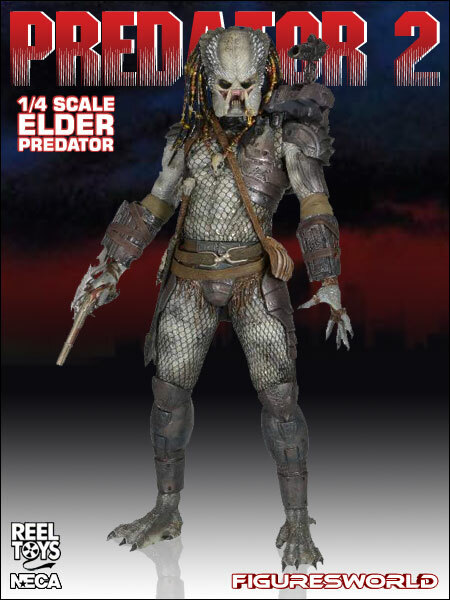 Incredible detail and decoration bring Elder to life along with the use of separate body netting.